Do you always push the chairs back under the table? Do empty containers in fridges etc amaze and annoy you? When entering a room does your eye inevitably focus on things that are out of place? Do you try to find polite ways to ask others to tidy up after themselves? Do you find it impossible to sit down and relax in a messy environment? Do you notice dirt around you and want to attack it (not because you enjoy cleaning, but because you don’t feel comfortable in a grubby space)? Does your eye tend to focus on crumbs, stains or shabby cuffs rather than the person who is talking to you? I may have become a tidy person. It is a bit of a nuisance but I have discovered the truth in the saying that everything should have a place. 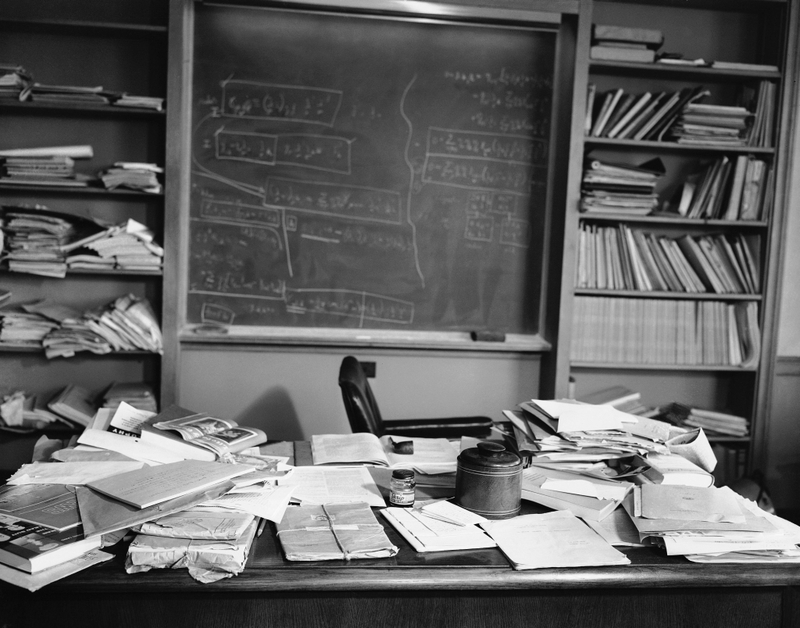 I used to be inspired by Einstein who had a messy desk. I used to smoke a pipe too (only joking). 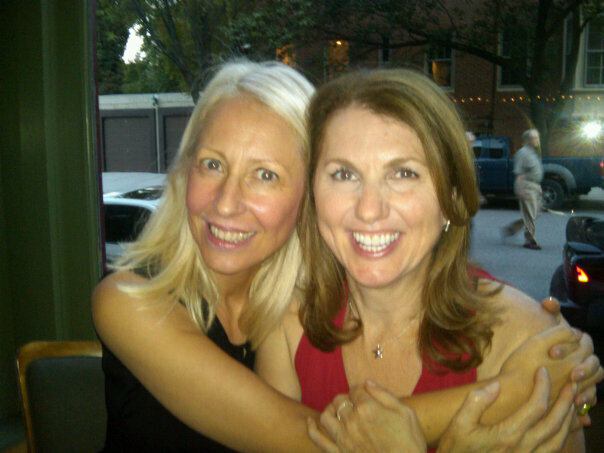 I used to associate messiness (not dirtiness – there is a difference) – with creativity. 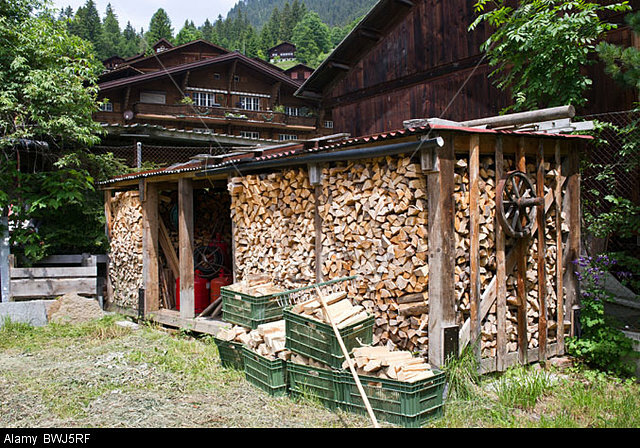 How we laughed on a Swiss walking holiday to see that every single Alpine household had their logs beautifully arranged into neat piles. We arrogantly, and immaturely, decided that the Swiss were “boring” on account of this. We even asked local people how they forced themselves into to such tidy uniformity. “Well we make our children return their crayons into the box that they came in, and we show them how to put away effectively. So we are trained from an early age”. But to be honest the downside of “creative messiness” was that I was forever losing things. I even formed something of a relationship with Leroy in the Transport for London lost property office. He would telephone me at home if they found something. Only three months ago I left two of my priceless SWAP items on the train from Preston to London. Although I have a responsible job in a £350m pa turnover company I can be a bit scatty and disorganised. Despite minor chaos cleanliness and neatness have always been important to me – for example if preparing a report all the figures have to line up, the boxes need to be one style; when laying the table I want everything to be symmetrical and attractive; I dress in a coordinated way; I find badly tiled bathrooms and uneven hair cuts irritating. So I was probably a fairly tidy person rather than a complete disgrace, but nothing to write home about. I would leave stuff in piles on my chair and only tidy up once a week or so for example. So, now after weeks of Kondoing my home, has it been life changing? Yes. I have become a tidy person. And it hasn’t undermined my creativity at all. I do spend a few minutes tidying away my daily things, putting everything back into its home. And I keep my surfaces clear. These two small changes have reduced the stress in my life by a considerable amount. And actually having a greater amount of order in my life has helped me be creative. If you are considering becoming a tidy person, here is a diagram that might help, from the Book of Awesomeness. Back in my art school days I thought I’d spotted an inverse correlation between tidy home and ‘tidy’ art, so abstract expressionists, tidy home, hard edge abstraction, messy home. Just throwing that in as a random thought. Another random thought – how tidy is tidy? There’s a spectrum in tidiness and cleanliness. OCD types who spend almost all their time making a very small part of the world bend to their will, to – well, unbelievable levels of mess and dirt in the home. And if you do not live alone, how the other person or persons conform is pretty crucial. I’m working on this and it definitely reduces stress. I have a long way to go. Fabulous post – I’m definitely a work in progress on this one but it’s a v encouraging piece so thanks a lot. I’m too cat-like in my approach to every be very tidy I’m afraid. If someone else can be induced to do things, [eg feed me/clean up after me] or can be convinced they do it better than me, [like cooking or cleaning] then all’s right with the world. Organising and tidying get left until I’m irritated by the clutter, then I deal with it. Not very often though. I am a tidy person – if my desk / cutting table is too messy I just can’t concentrate on my project because the other things distract me. Sharing a house with two little people though has increased my tolerance to mess – if I kept my house as tidy as I would like it’s all I would ever do! Well, I used to think I was a tidy person, but I have become messier with age. And I’m fine with it! But I have used your Kondo suggestion to put all my purse contents in one place and now spend a lot less time looking for my wallet. I find this such an interesting process. My best friend has always been neat; I have always been relatively messy. But when I look around my home, it’s not messy and everything does have its place. I am very particular about putting key things in the same place each time as I hate not being able to find them. My desk at work is always a little bit messy, but only on the order of a few scattered papers I am actually working on at the moment. So I agree with Jay in that I think there is a spectrum of tidiness. All of my thread goes in a drawer and I can find what I need with a quick rummage. I am unlikely to spend my time lining up my thread, colour coded, on a shelf (though to each his own). I also wonder if tidiness becomes easier with age? My mom is a very tidy person now but never was when I was younger. Maybe we become more aware of the importance of our time as we age and therefore more aware that time lost searching for things is time lost period? I’m certainly more aware than ever of the value of time. One thing that does bother me about tidiness though is those people who can’t relax and enjoy something, such as a meal, without getting up to clean everything up and put things away immediately. Chat and stay a while; the dishes will wait until later or (god forbid) tomorrow morning. Rolling on floor laughing is really a thing Kate!! I had just tidied some documents off the desk having collated about 400 pages of information in chronological order and bought a new clear acrylic ‘in tray’ because the ugly navy blue metal one was uninspiring. I’m sitting here with a newly torn scarp paper pile and I think I can officially say “I’m tidy”. Our kids are the opposite and I despair they’ll ever improve! But I’m with S above, I have to give my hubby the stink eye when he starts washing dishes when our guests are still chatting away!! I have been reading the Kondo series with interest as somehow I thought that it was an aid to decluttering and tidying up. The penny dropped in the empty your handbag every night post. I am gradually trying to declutter, but I think my brain is too scatty to be tidy. I cannot stick to one thing at a time, I do a bit of this a bit of that then back to a bit of this. For example, I came home from work and at the same time made banana cake, real custard for a trifle, whilst the chicken was roasting. It was an interesting experience. But it would be nice to know where everything is. I’m now going to tidy the kitchen. Great post and so many interesting comments to read. I would love to be tidy and feel invaded by a tide of effluent (stuff bought off the internet) pouring in through the front door and into the living room. I suspect I’m living with a hoarder-in-training. Luckily, my children are tidy and have taken up periodic room-cleaning. Oh, my, I answered yes to every question. I can’t be creative surrounded by the distraction of disorder. My mind is too busy mentally trying to clean things up instead of focusing, without distraction, on the subject at hand. So, yes, I am guilty of tidy and creativity.